The Canon, Examined: Grant-Lee Phillips' "Mobilize"
The Canon, Examined: Grant-Lee Phillips’ "Mobilize"
Let’s get one thing straight. Travis and Parachutes-era Coldplay didn’t invent balladic mope-rock. Radiohead really didn’t either, and while the Sensitive Britpopper explosion of the early 2000s had its roots directly in The Bends and OK Computer, a lot’s being left out of the equation: namely, Mobilize by Grant-Lee Phillips. 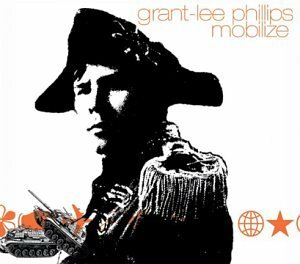 After shelving the band Grant-Lee Buffalo, 2001’s Mobilize was Phillip’s second LP under his own name. It’s also near-perfect, enveloped in woozy, dream-like production and carried by his yearning tenor vocals, but grounded by heavy electronic percussion, acoustic instrumentation and a focus on melody. If that’s not enough for you, Phillips has worked extensively with Jon Brion and co-wrote “Walking Through Walls.” Insert a snarky comment about Coldplay working with Embrace and Gwyneth Paltrow here. If you’re in Los Angeles tonight, don’t miss Phillips’ performance at Largo.